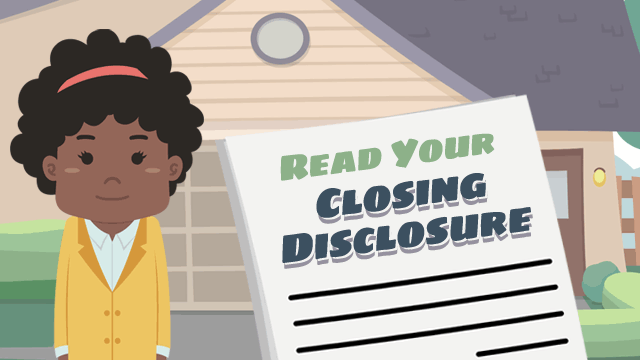 Out of the numerous documents that you will come across during the mortgage process, your Closing Disclosure is one of the most important. This 5-page document specifies the terms of your home loan, such as your monthly payments, interest rates, and closing costs. As of October 3, 2015—after the Consumer Financial Protection Bureau (CFPB) took charge of the Real Estate Settlement Procedures Act (RESPA) that August—homebuyers started receiving Closing Disclosures, instead of the previously-used HUD-1 Settlement Statement (used while RESPA was under HUD administration). Your lender is now required to give you the Closing Disclosure at least 3 business days before your closing date. This gives you time to compare your final costs to those outlined in the Loan Estimate (which replaced the Good Faith Estimate used under HUD administration) that you initially received. Some of the costs can be substantially higher than what was quoted in the Loan Estimate, and you have the right to review these. In addition to comparing the costs, there is other information on the Closing Disclosure that you need to verify. Check if your loan has a prepayment penalty, or a balloon payment. Are there items that are not in your Escrow account? It is important that you take the 3 days before closing to go over the information in your Closing Disclosure with your loan officer.